Latest and the Updates TSPSC Bill Collector Syllabus @ tspsc.gov.in is Given for the candidates who are seriously taking the Preparation Of the Examination. So that they can get the success in the Exam which is going to conduct by the Telangana State Public Service Commission Board for the Posts of 124 Bill Collector Vacancies. In this Page, all the applicants can get the GHMC Exam Pattern Pdf and the Exam Preparation tips along with the TSPSC Bill Collector Syllabus for the sake of Practise sessions for the examination. Most of the Contenders are eager in Browsing for the Internet to download the GHMC Bill Collector Syllabus Only. Because if they get the correct Syllabus they can able to start the Practise sessions. With the Free of Worth, We are Provided the links to download the TSPSC Bill Collector Syllabus only for those candidates who have furnished all the Details in the application form within the Deadline Date. Because only the Examination attending Candidates are only searching for the TSPSC Bill Collector Syllabus and they only take the Practise sessions to score the Maximum marks in the Telangana State Public Service Commission Examination. Contenders to get the More Information, they can refer our @ recruitmentindia.in Page or verify the official’s Notification Provided links. TSPSC Bill Collector Exam Pattern PDF has been Placed here to make the candidates preparation in an Easy manner. The Main Topics that the contenders needed to focus on the General Knowledge and the secretarial Abilities. Each Paper consists of 150 Marks with the 150 Minutes. The Overall Exam question paper is fro 300 Marks with 300 minutes of Duration. So take the Practice of the TSPSC Bill Collector Exam Pattern and make the concentrate on the Particular Topics. Either the Question paper is in English, Telugu or Urdu or trilingual Language based on the Candidates Requirements. Arts and Literature of Telangana. 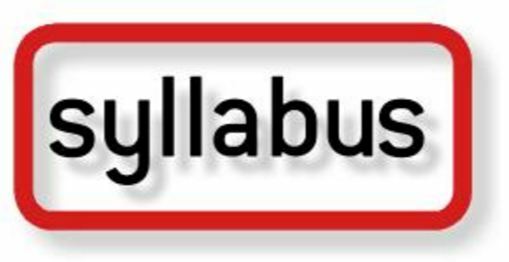 The topics that are essentials for the Exam Purpose in the GHMC Bill Collector Syllabus along with the subtopics also mentioned for the contenders. If applicants make the More Preparation with the Help of the syllabus, then only they will try to solve any Type of Difficult Questions that are going to ask in the Examination. Due to the Lack of Preparation of the tspsc.gov.in Syllabus, any applicants will not get succeded in the Exam. So take the sincere Practise before the going to attend the Exam. Contenders to get the Latest Employment News, Visit our Page regularly. Candidates who are going to Participate in the Selection process that is going to conduct by the Telangana State Public Service Commission they have to get the minimum idea about the minor topics in the TSPSC Bill Collector Syllabus @ tspsc.gov.in. Those candidates who will be shortlisted in the Written Assignment Process with the Help of the TSPSC Bill Collector Exam Pattern that we proceed on this Page, they only capable to attend the further Rounds. To get the Quaifuomg marks in the exam once must have to take a look on to the GHMC Bill Collector Syllabus.